Jacob Roel Soto obituary. Carnes Funeral Home. Apr 27, 2015 My deepest sympathy on your loss. May our wonderful Creator give you and your family fortitude for the days ahead. 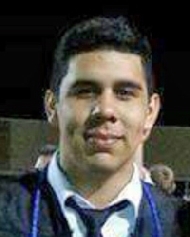 Jacob Roel Soto, age 19, passed away suddenly on Thursday, March 19, 2015 as a result of injuries sustained in a motor vehicle accident. He was born June 30, 1995 in Galveston, the son of Jose Soto Jr. and Melissa Villarreal Soto. He graduated from Texas City High School in 2013, where he played JV football in 2012. Jacob worked for Del Papa Distributing Company in 2014 and assisted his uncle window washing. He aspired to be a music producer. His favorite things were music and skateboarding. He reached out to many and had a heart of gold. He is survived by his parents Jose and Melissa of Texas City; his sisters Marissa and Miranda, and brother Jose Soto III. He also leaves his maternal grandmother, Alma Delores Gaona Villarreal, and paternal step grandfather Rufus Vega. He is also survived by his Uncles Roger G. Villarreal Jr., Michael Hutcheon, Jamison Frances Moreno, David Aguilar and Aunt Brenda Mireles, along with many cousins, family, and friends. He is preceded in death by grandparents, Rogelio G. Villarreal Sr. of Galveston and Maria “Mary” Vega of Angleton. Funeral arrangements are being handled by Carnes Funeral Home 3100 Gulf Frwy, Texas City. Visitation will be held on Saturday, March 28, 2015, at 4pm and services to begin at 5pm, Pastor Rudy Soto will officiate. Immediately following the service, a reception will be held at the Showboat Pavilion 416 6th Street North Texas City, TX 77590.